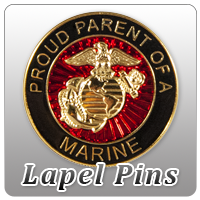 Fabulous and unique items to deck your halls in Marine Corps spirit this holiday season! Marine Nutcracker at the EGA Shop, where every purchase supports our troops! Limited amount in stock; buy early to ensure you get one for Christmas! We apologize. This item is currently out of stock. Please check back at a later time or email us to be notified when the product is available again.